The window and plaque are in St David's Church, Airmyn, near Goole, Yorkshire. In March 1900, he had been made Aide-de-Camp to the Lieutenant Governor of Bengal. 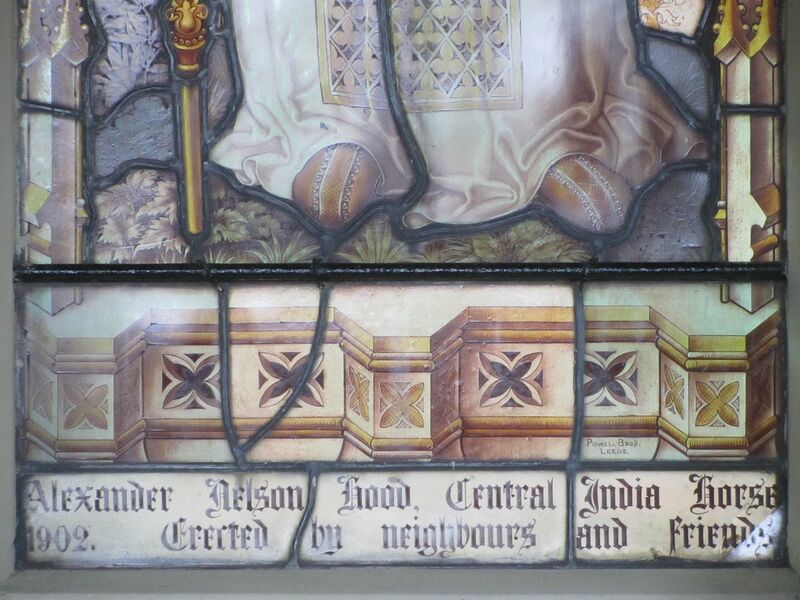 Lieutenant A. N. Hood, Central India Horse, eldest son of the Hon. A. F. Hood, Airmyn Hall, has been given an appointment on mounted service in South Africa, and sailed on the 5th in the s.s. Manchester Merchant. 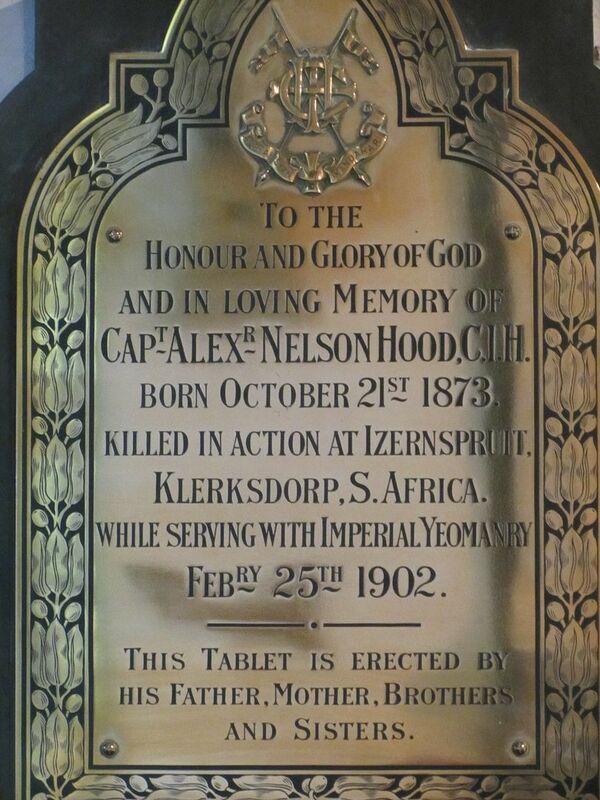 Captain A. N. Hood, killed near Klerksdorp, was the son of the Hon. A. F. Hood, Airmyn Hall, Yorkshire, formerly chairman of the Conservative party in the Osgoldcross district. The deceased's brother served as aide-de-camp to Major-General Smith-Dorrien, the well-known Derbyshire officer, in the earlier stages of the campaign. 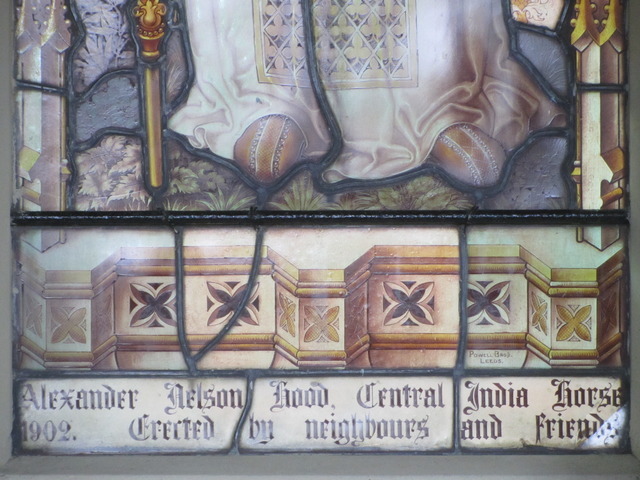 Captain Hood joined the Manchester Regiment in October, 1893, and transferred to the Indian Staff Corps in August, 1897. 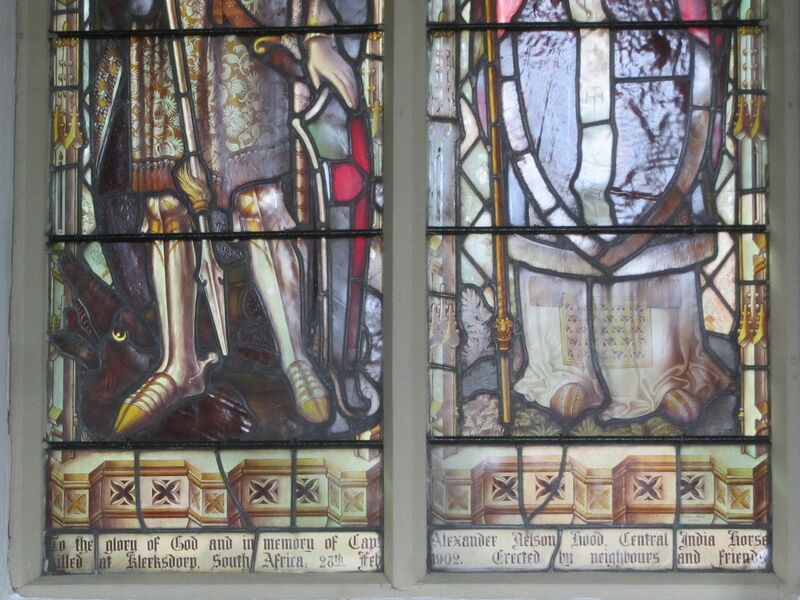 In August last he was lent from the Central Indian Horse for duty with the Imperial Yeomanry in South Africa. A fantastic post, Berenice. Many thanks. 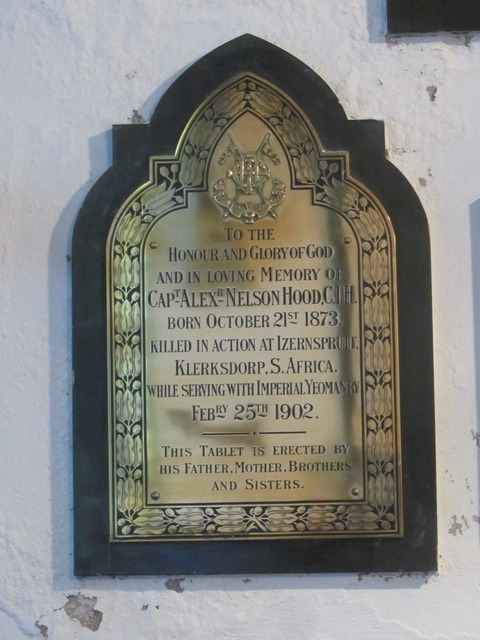 I'll add one of his younger brothers, Grosvenor Percy Hood, who was drowned in India, on 12th April 1904. This plaque is also in St David's Church, Airmyn. 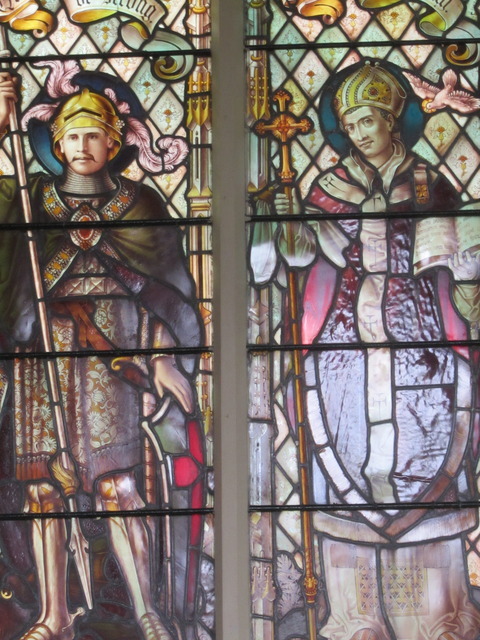 While at the church I asked where the Hood family were buried, but none of them were interred at St David's. 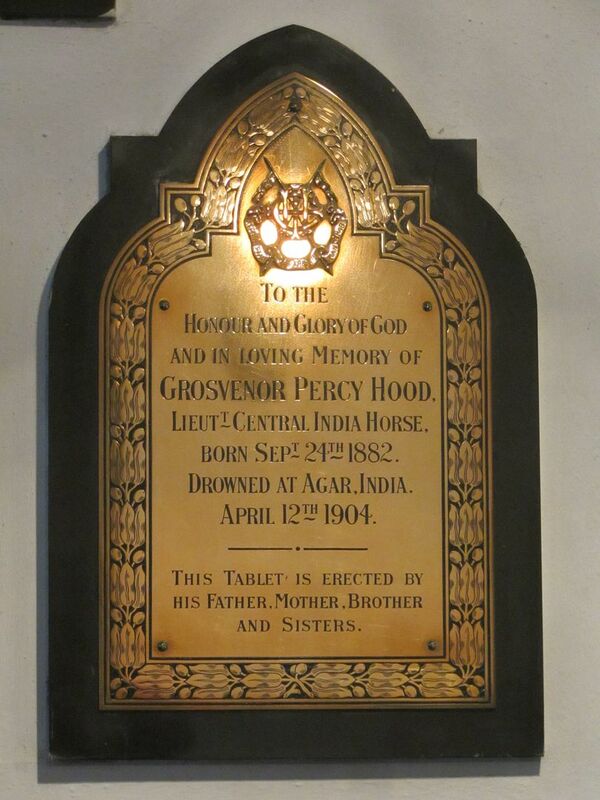 News has been received of the death by drowning, as the result of a boating accident at Agar, India, on April 12th, of Lieutenant Grosvenor Percy Hood, of the Central India Horse. Mr Hood was the youngest son of the Hon. 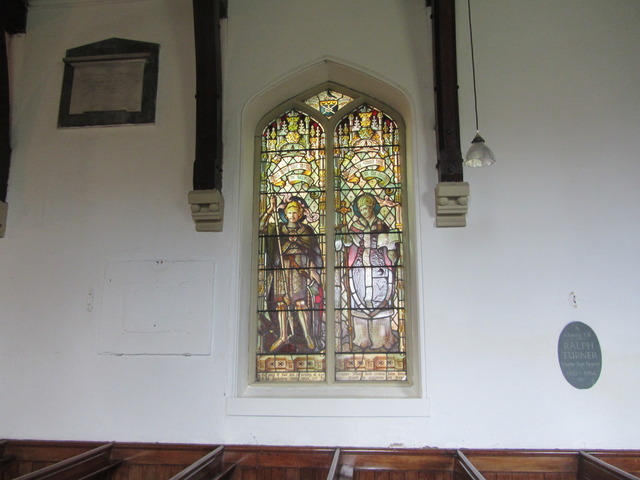 A. F. and Mrs Hood, of Airmyn Hall, Goole, and was only 21 years of age. 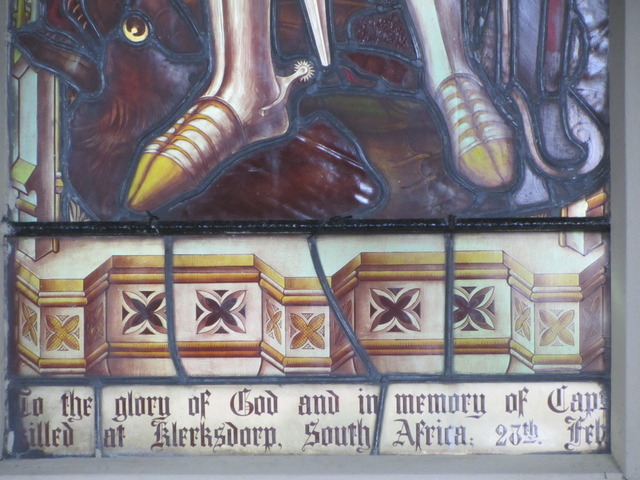 It will be remembered that Mr and Mrs Hood lost their eldest son in the Boer War. The Royal Humane Society last night issued its first list of awards for the month. 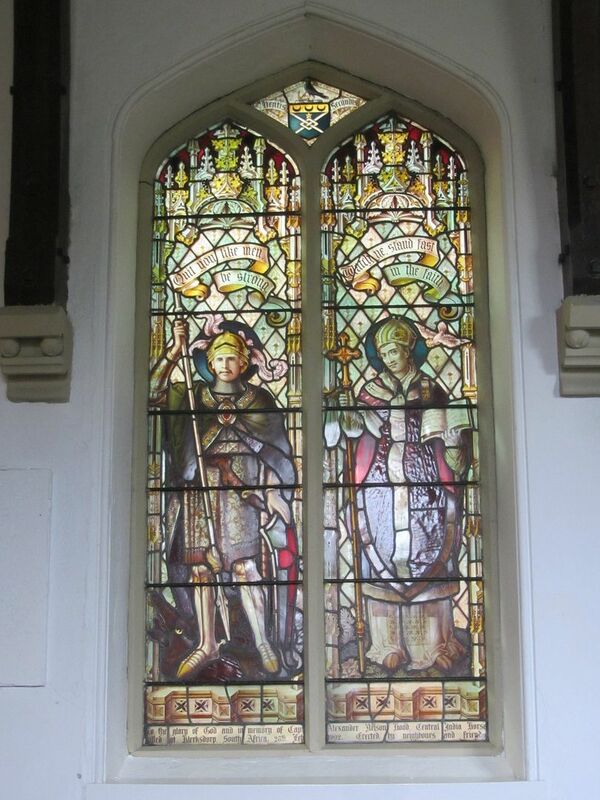 Colonel Horace Montagu presided. The principal awards were bronze medals to Lieut. D G. Pitcher and Lieut. 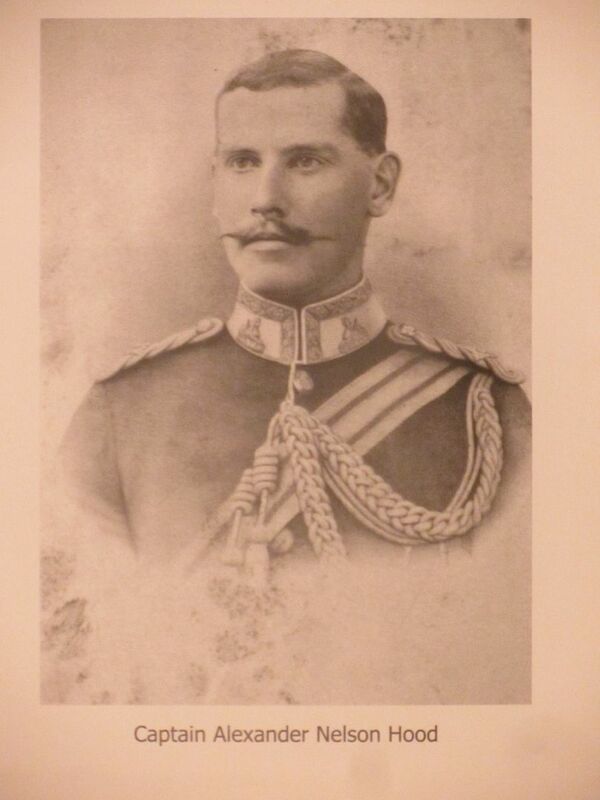 H. D. S. Keighley, Central India Horse, for their attempt ti save Lieut. 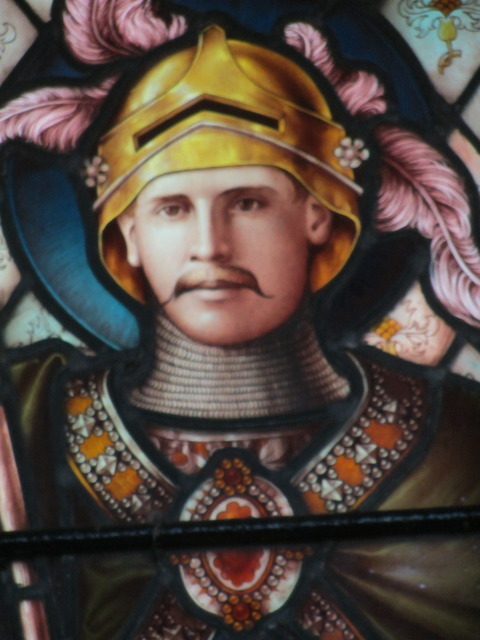 G. P. Hood, of the same regiment, who was drowned in a lake at Agar Malwa, Central India, on April 13th.